The French love Jerry Lewis. Germans worship Wilford Brimley. The Irish fancy Hoda Kotb, and Canadians adore Al Roker. In Brazil, they love all things Buddy Hackett. But in Japan, it's all about Emmett Lee Dickinson (Emily Dickinson's third cousin, twice removed -- at her request). 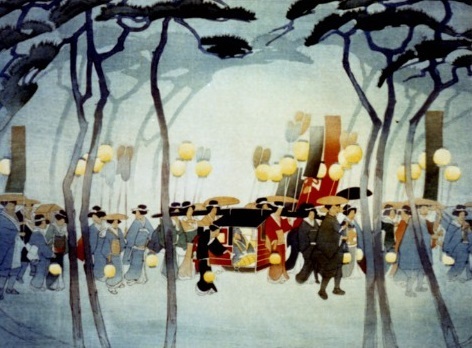 Throughout the month of September, we will examine the connection between Japanese culture and Emmett Lee Dickinson. 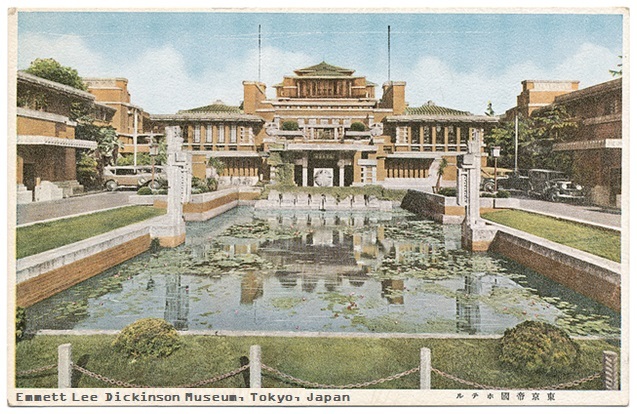 Other than the United States, Japan has more monuments and museums to Emmett Lee Dickinson than any other country. 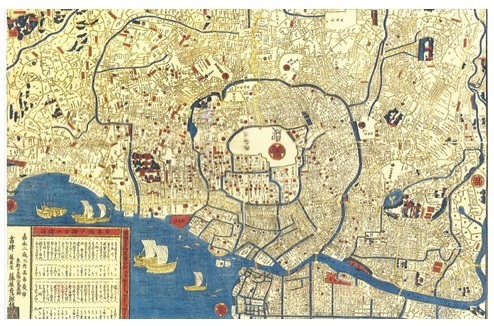 The two largest ELD Museums in Japan are in Tokyo and Isherst (pronounced "IS-herst"). Isherst is the third largest city in Japan, and it is the birthplace of one of Japan's premiere poets, Emi Li Dikytinson ,who was a great influence on Emmett Lee Dickinson's third cousin Emily Dickinson. Below: The Emmett Lee Dickinson Museum in Tokyo. Below: the Emmett Lee Dickinson Museum in Isherst. 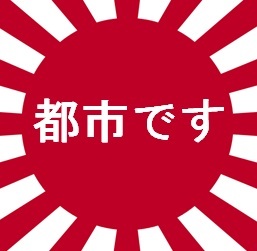 都市です, or "IS-herst," is the name of the third largest city in Japan. Literally, the name translates to "Is a city." Isherst is home to one of the premiere Emmett Lee Dickinson Museums in the world (pictured above on the right), and it was the birthplace of one of Japan's greatest poets, Emi Li Dikytinson. Below: Dikytinson Boulevard in Isherst, Japan. ﻿Below:﻿ An aerial look at Japan's third largest city. Below: The theater district in Isherst. 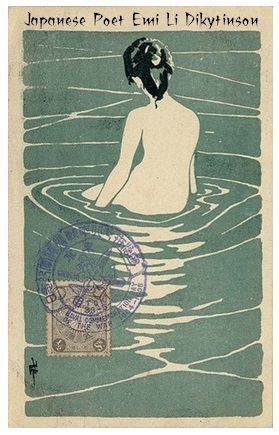 Emi Li Dikytinson was a Japanese poet. Born in Isherst (pronounced "IS-herst"), Japan, to a successful family with strong community ties, she lived a mostly introverted and reclusive life. After she studied at the Isherst Academy for seven years in her youth, she returned to and lived out the rest of her life at her family's home named 故郷の村 (which translates at "HomeVillage"). Below: One of two surviving likenesses of Japan's greatest poet, Emi Li Dikytinson. Below: A first edition of Dikytinson's first book of published poetry. In Dikytinson's first published book of poetry (above center), she opened with a poem that inspired Emily Dickinson to write "This is my letter to the world." Dikytinson's poem is below on the left. The translation is in the center, and the poem that it inspired is on the right. 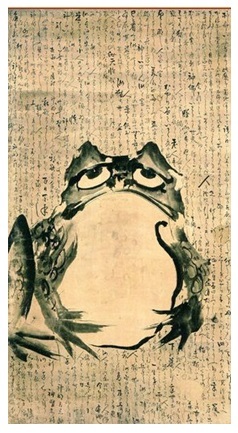 Pictured at the right: 18th century Japanese artist Getsuju entitled his painting "As a Frog -- How public" after Dikytinson's poem. Below on the left: The English translation of Emi Li Dikytinson's classic poem "Of no importance am I. Are you an antecedent of a Person?" ﻿Below on the right:﻿ Dikytinson's poem inspired Emily Dickinson to write "I'm Nobody! Who are you?" Of no importance am I. Are you any antecedent of a Person? Is it not important – if you – are or are not too? For there would be a twofold combination of us! Please tell me – though – if you want to advertise to them! To be – how bleak as Someone! In a Swamp of praise! Emi Li Dikytinson was the eighth of eight sisters. Her father, Yoshi Dikytinson was a matchet forger (a knife and sword maker), and a founder of Isherst University in Isherst, Japan. 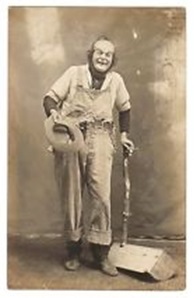 His brother, Kazuki Dikytinson was a famous clown known the world over as Pun Pun the Clown. Pictured below left to right: Emi Li's mother, Yuzuki Dikytinson, and her seven sisters: Ume, Tsubaki, Saki, Natsuki, Megumi, Chinatsu, and Suzu. 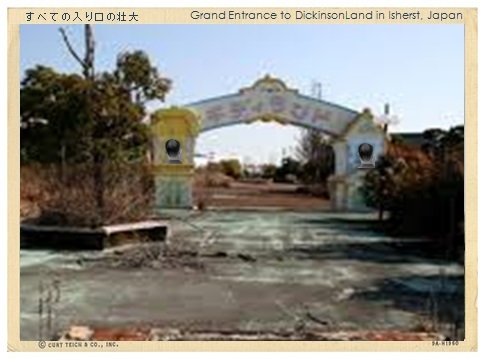 The first theme park to open in America was DickinsonLand, a theme park devoted to the life of poet Emmett Lee Dickinson, Emily Dickinson's third cousin, twice removed (at her request). DickinsonLand opened in Washerst in 1880 and operated through 1956. Not only did DickinsonLand inspire Walt Disney to open the theme parks that bear his name, but it inspired theme parks to open around the world dedicated to America's greatest poet. 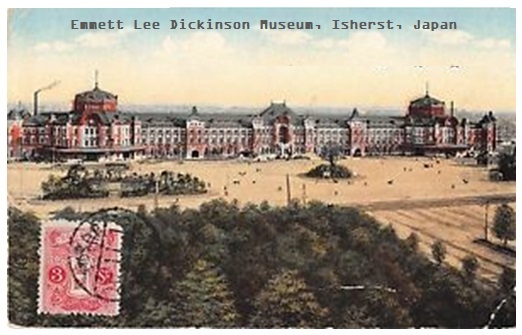 Today there are over thirty theme parks devoted to Emmett Lee Dickinson, and one of the premiere parks is located in Isherst, Japan. America's newest theme park dedicated to the life and poetry of Emmett Lee Dickinson (Emily Dickinson's third cousin, twice removed -- at her request) opened in Washerst in the summer of 2013. For complete information about DickinsonLand, click HERE. Pictured at the left: The Grand Entrance to DickinsonLand in Isherst, Japan. Did you know that Emi Li Dikytinson's Uncle Kazuki "Pun Pun the Clown" Dikytinson invented the roller coaster? The first roller coaster (pictured at the right) was a two-seat craft that was lifted by four "hoisters" in roller skates who skated around a track. Kazuki's partner, Katsu "Kichi the Clown" Moto, introduced the idea of using wooden tracks for the "hoisters," and that eventually led to the modern roller coaster. Emi LI Dikytinson was fascinated by her Uncle's invention, and she wrote many poems about roller coasters. Her most famous one, entitled "I hold in regard with high favor when I see it wrap the Tracks" (below on the left), which inspired Emily Dickinson to write her poem "I like to see it lap the Miles" (below on the right). 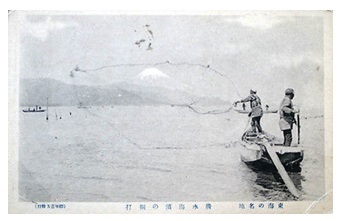 Another important theme in the poetry of Emi Li Dikytinson is fishing, as her mother's father, Aoki Muka, was a fisherman and businessman. 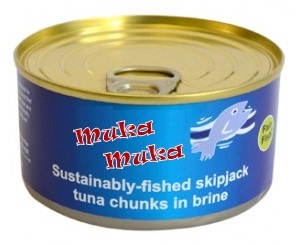 Aoki Muka began the Muka Muka Fishing Company, and Muka Muka Sustainably-Fished Skipjack Tuna Chunks in Brine is still the top rated tuna in the world today. Pictured below in the center: Aoki Muka (on the left) with his brother and partner at the Muka Muka Fish Company, Ikki Muka (on the right). Below: Emi Li Dikytinson paid homage to her grandfather's fishing business with her poem "'Tis the entity with fins -- that is 'Hope' " (on the left). Her poem later inspired Emily Dickinson to write "'Hope' is the thing with feathers" (on the right). ’TIs the entity with fins – that is "hope"
It asked for bait – from Me. 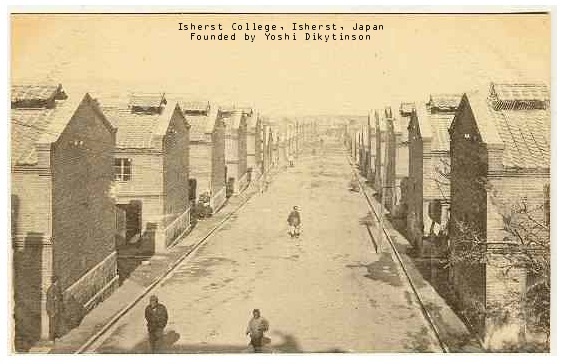 Pictured at the right: The beautiful campus of Isherst College (pronounced "IS-herst"), founded by Emi Li Dikytinson's father, Yoshi Dikytinson. Word of Dikytinson's institution traveled to America, and it inspired Emily Dickinson's father Edward Dickinson to help found Amherst College. Below left: Emi Li Dikytinson definitely inherited her father's love of books, and she penned a poem entitled, "As in the present there is no Frigate such as the volume of Text." Her poem inspired Emily Dickinson to pen a similar poem that begins "There is no Frigate like a Book" (below right). In addition to Isherst College (see above), Isherst, Japan, is home to one of the premiere community colleges in the world -- the Emmett Lee Dickinson Community College on Dikytinson Boulevard in the historic district of downtown Isherst. Pictured at the left: The main building of the Emmett Lee Dickinson Community College in Isherst, Japan. 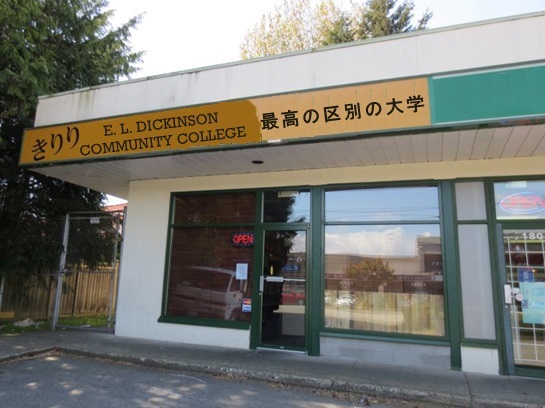 Founded by a grandson of Kazuki Dikytinson, the E L Dickinson Community College is another example of both how the Japanese revere Emmett Lee Dickinson (Emily Dickinson's third cousin, twice removed -- at her request) and how post-secondary education was important to the Dikytinson family. Below on the left: A poem by Emi Li Dikytinson about "wonder," which inspired Emily Dickinson to pen a similar poem (below on the right). Both poems refer to the concept of "cognitive dissonance," which was first identified and named by Emmett Lee Dickinson. Japan ranks third when it comes to countries with the most ELD Schools for Boys -- just behind the United States and Sweden (Canada and Brazil round out the top 5). 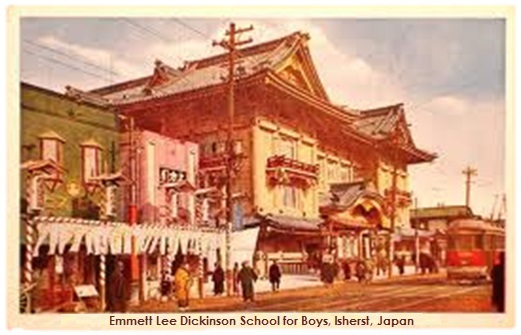 Pictured above left: The Emmett Lee Dickinson School for Boys in Isherst, Japan. Pictured above right: A school bus climbs its way to the Emmett Lee Dickinson School for Boys in Isherst. Legend has it that a bus driver for the school wrote the song "The Wheels on the Bus Go Round and Round." Below left: A poem by Emi Li Dikytinson about "little boys," and a poem by Emily Dickinson that it inspired (on the right). 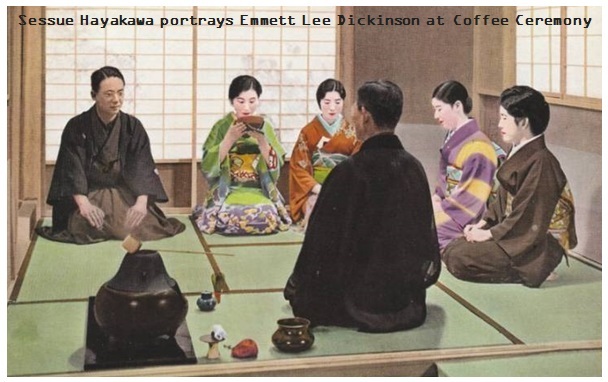 Pictured at the left: Japanese actor Sessue Hayakawa portrays Emmett Lee Dickinson at the tradition Japanese coffee ceremony (more venerated than the traditional tea service). For examples of Dickinson's coffee poetry, click ﻿HERE﻿ and HERE. Below: Emmett Lee Dickinson's poem (on the left) inspired Emi Li Dikytinson to pen her poem (in the center); that poem inspired Emily Dickinson to pen her poem (on the right). 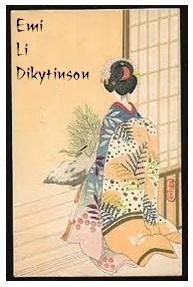 Emi Li Dikytinson's great-great-great-great-great-great-grandfather, Yoshifumi Dikytinson, invented the Japanese lantern. He said of his invention that he particularly liked how the lantern made "a certain slant of light." Emi Li Dikytinson liked that image, and she wrote a poem about "a diagonal axis" of light. Years later, Emily Dickinson wrote a similar poem using Dikytinson's great-great-great-great-great-great-grandfather's specific wording. 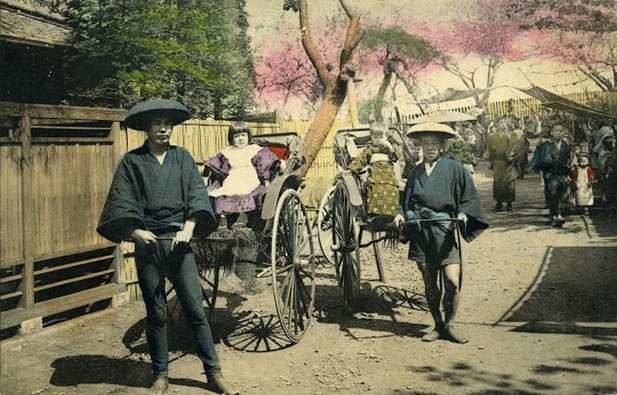 Pictured at the left: Emi Li Dikytinson's great-great-great-great-great-great-grandfather, Yoshifumi Dikytinson. Pictured at the right: Yoshifumi Dikytinson's invention. Below left: Emi Li Dikytinson's poem about a "diagonal axis" of light. Below right: The poem by Emily Dickinson inspired by Dikytinson's poem. If there is a meaning. Conveyed to a destination in air. Sent us of the air. Emmett Lee Dickinson's birthday -- October 12th -- is one of the biggest celebrations in all of Japan. 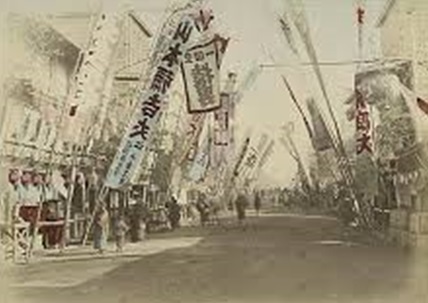 Pictured below: Cities and streets throughout Japan are decked out in banners, flags, lanterns and more to celebrate the birthday of the country's favorite poet, Emmett Lee Dickinson (Emily Dickinson's third cousin, twice removed -- at her request). Emmett Lee Dickinson's is just one month from today! Celebrate in style -- by joining the Dickinson Organization of Poetry Enthusiasts (DOPE). It's free! It's easy! It's nugatory! For information on how to become a DOPE, click HERE. Our old year and it is not every day, but you put the new power. 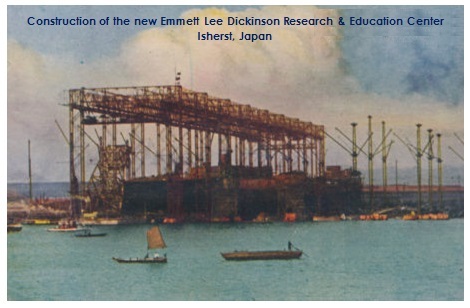 The Emmett Lee Dickinson Research and Education Center in Isherst, Japan, opened in 1936, and for years it has been one of the preeminent ELD research centers around the world. The Isherst center has been at the forefront in the research as to why Emmett Lee Dickinson (Emily Dickinson's third cousin) was twice removed -- at her request. Currently, construction is underway in Isherst to construct a new ELD Research and Education Center (which will be located above a dry cleaning chemical plant). 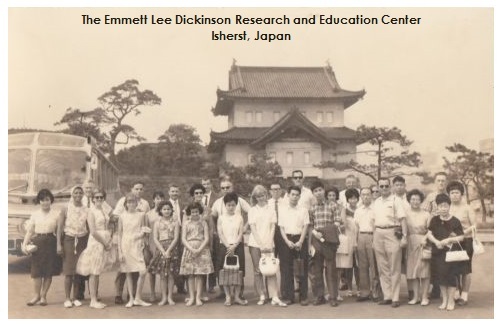 Below: The faculty and staff of the Emmett Lee Dickinson Research and Education Center in Isherst, Japan. The research center, which opened in 1936, is behind them. Below: Construction has begun in Isherst for the new, state-of-the-art Emmett Lee Dickinson Research & Education Center, to be located above Dupont's experimental dry cleaning chemical plant. 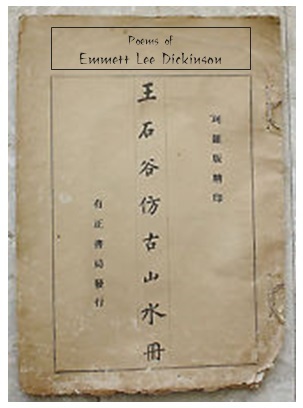 For years, the researchers at the ELD Research and Education Center in Isherst have investigated mysteries surrounding Emmett Lee Dickinson, Emily Dickinson, and Emi Li Dikytinson. One unsolved mystery is what, exactly, did Emi Lee Dikytinson lose in her poem "The thing which is considered to planet Earth, I misplaced the other day" (below on the left). Her poem inspired Emily Dickinson to write her poem "I lost a World -- the other day" (below on the right). Has any individual of some importance thereby obtained some knowledge of it? For I bound them around his forehead. Oh, to find it – for me – the Lord! I lost a World - the other day! Oh find it – Sir – for me! Isherst, Japan, has almost as many memorials, shrines, and tributes to Emmett Lee Dickinson (Emily Dickinson's third cousin, twice removed -- at her request) as his birthplace, Washerst, Pennsylvania. There is a museum dedicated to America's greatest poet. There is a Research and Education Center. Avenues and boulevards are named for him, as well as restaurants, hotels, parks, schools, and much more -- including a mountain that rises in the east of the city, Mount Dickinson. 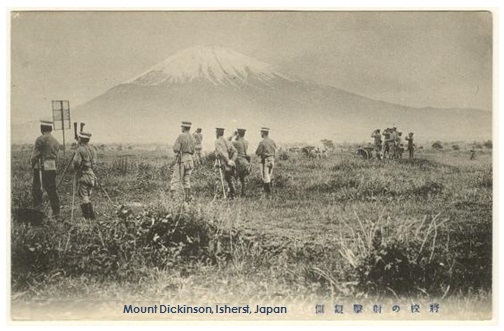 Pictured below left and right: Vintage postcards of Mount Dickinson rising to the east of Isherst, Japan. Below left: Emi Li Dikytinson's poem inspired by Mount Dickinson which rises to the east of Isherst. Below right: Dikytinson's poem inspired to write a poem of a similar nature. 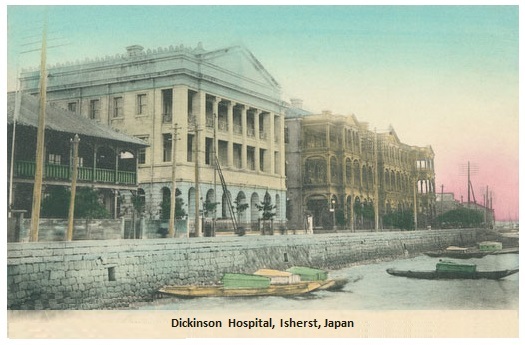 Isherst, Japan, also has a hospital named after Emmett Lee Dickinson (Emily Dickinson's third cousin, twice removed -- at her request) -- and it has a world famous wing devoted to child psychology and psychiatry due to Dickinson's work and advancements in those fields. For information on Dickinson's work in child psychology and more, click HERE. Like Emily Dickinson and Emmett Lee Dickinson, Japan's premiere poet Emi Li Dikytinson often wrote of pain and suffering. Her poem entitled "Suffering less severe, in many cases, we don tuxedos" (below on the left) inspired Emily Dickinson to write a similarly themed poem (below on the right). And a century ago or yesterday? Washerst, Pennsylvania, is the world’s principal producer of cat litter, and it is the global headquarters for Kleen Kitty Kat Litter,® the top brand of cat litter used around the planet. Civic pride of Washerstians is reflected in their town motto, “Washerst – We Are A Kleen Kommunity.” For information on Washerst's production of kitty litter, click ﻿HERE﻿. 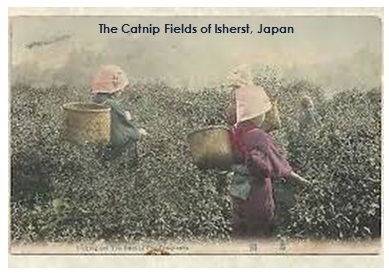 Pictured below on the left: The famous catnip fields of Isherst, Japan. Pictured below on the right: The Dickinson Catnip Factory in Isherst, Japan, exports catnip to all four corners of the globe. Preeminent Japanese poet Emi Li Dikytinson wrote many poems about cats. the first stanza of her most famous one began "Attraction from a Bird of her -- her laugh is perceived as if ay an ear" (below on the left). Her poem inspired Emily Dickinson to write a poem that began "She sights a Bird -- she chuckles" (below on the right). Emmett Lee Dickinson (Emily Dickinson's third cousin, twice removed -- at her request) was fascinated by the number 17. * He was the first mathematician to discover that "17" is a prime number. * He had 17 nieces and nephews (or at least "that's where I'll stop counting," he said). * Dickinson petitioned congress to change our calendar to a system that included 17 months (9 months or 21 days and 8 months of 22 days). develop a recipe for fried chicken that included 17 secret seasonings and spices. 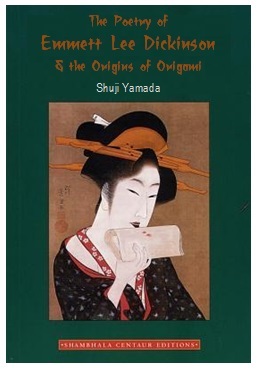 * He created the "haiku," a poem of 17 syllables. Dickinson loved bowling, and he was particularly transfixed by the "seven-ten" split. He was the first bowler in history to pick up the split -- and on that night (which, interestingly enough, would have been the 17th night of the 17th month of his calendar system), he came up with the concept for a new type of poem: A line of seven syllables which split two lines of five syllables (or "seven-ten split"). He called his new form of poetry a "haiku," the Japanese word for "bowling." 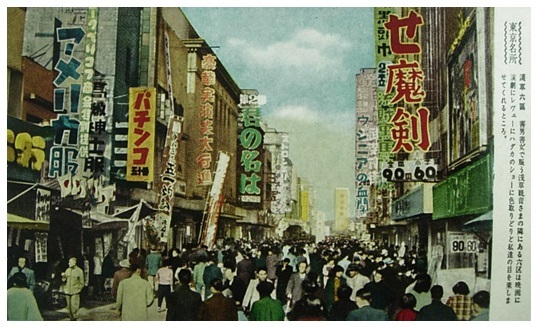 Pictured at the left: Dickinson Lanes in Isherst, Japan. I just might not be ready. He'll just have to wait. Below: Emmett Lee Dickinson's haiku "Knock, Knock. Who is there?" inspired his third cousin to write "I'm Nobody. Who are you?" Frogs croak in the pond. Did you know that the Haiku Validation Center in Isherst, Japan, certifies every haiku ever published -- whether in print or online? Trained and certified Haikuologists validate each and every haiku using a ten-point scale in seven categories including Number of Syllables, Allusion/Reference to Nature, Ambiguity, and Ultra Kawaii (the quality of cuteness in the context of Japanese culture). Where'd I put that world? I can't find it anywhere! Nice reward – if found! 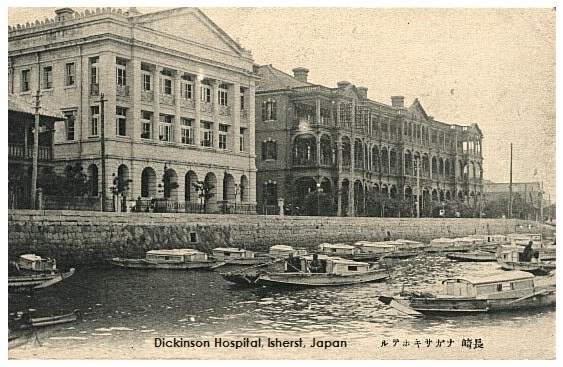 Below: Emily Dickinson wrote "The is no Frigate like a book" based on Emmett Lee Dickinson's haiku "If the cost of books"
Isherst, Japan is home to the world's premiere rehabilitation center for Haiku-oholics. It is the top -rated center for treating individuals who suffer from pentavoxitis (speaking and writing only in patterns of five syllables), hyperseptuplipathy (speaking and writing only in patterns of seven syllables) and haikuplegia (addicted to writing haikus). Bread it and fry it all up. I think I've been scarred. Did you know that the Chinese "Yin Yang" symbol (at the far right) derived from a Japanese symbol (at the right) called the "Yan Ying"? "Yan Ying" derives from the Japanese words for "Bore" and "Belle," because Emily Dickinson was known as "the belle of Amherst," and Emmett Lee Dickinson was known as "the bore of Washerst." Pictured above: "Sushi," the Japanese word for poet, is raw fish. Rice was added later to make the delicacy a little more palatable. Sushi developed as a Japanese delicacy due to a misunderstanding about Emmett Lee Dickinson (Emily Dickinson's third cousin, twice removed -- at her request). In the late 1800s, Japanese Dickinson scholar Kenichi Watanabe visited Washerst, Pennsylvania -- Dickinson's birthplace and home -- and Ponchatoula, Louisiana -- the location of Dickinson's summer home. While spending time in Ponchatoula with Dickinson, Watanabe questioned the poet about his favorite Bayou food. Dickinson said "crawfish," but Watanabe misheard him and recorded "raw fish." 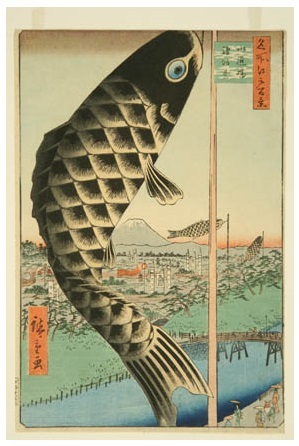 When Watanabe published his research on Dickinson in Japan, he created a nation-wide craze when he reported that the country's favorite poet loved "raw fish." Suddenly, everyone began eating raw fish. 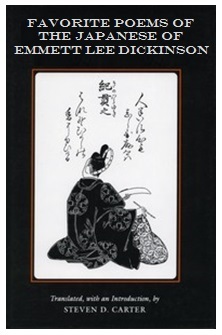 They called the delicacy "sushi," the Japanese word for "poet." 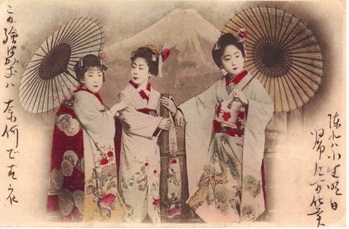 Pictured at the left: In the late 1800s, Japanese scholar Kenichi Watanabe lived with and studied America's greatest poet, Emmett Lee Dickinson (Emily Dickinson's third cousin, twice removed -- at her request). Pictured at the right: Emmett Lee Dickinson's summer home in Ponchatoula, Louisiana. 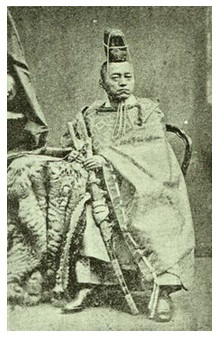 When Japanese scholar Kenichi Watanabe visited Dickinson there one summer in the late 1880s, he misheard Dickinson's response about his favorite bayou food. Although Dickinson said "crawfish," Watanabe heard "raw fish." 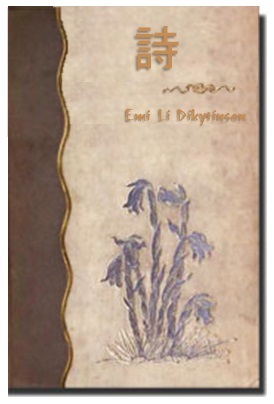 A common theme in Emi Li Dikytinson's poetry is nature, particularly poems about birds, because of her love of the great outdoors and the time she spent in Chikan Park (later renamed Dickinson Park in honor of Emmett Lee Dickinson, Emily Dickinson's third cousin, twice removed -- at her request). 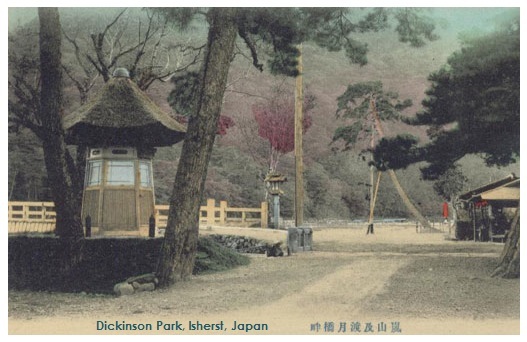 Pictured below left: Dickinson Park, formerly Chikan Park, where Japanese poet Emi Li Dikytinson spent many an afternoon. Below: One of Emi Li Dikytinson's most famous poems (on the left) inspired Emily Dickinson to write the poem "A Bird Came Down The Walk" (on the right). 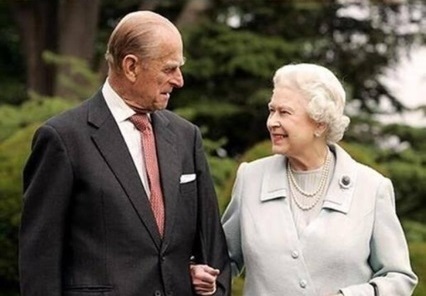 Every member of the UK's royal family loves Emmett Lee Dickinson (Emily Dickinson's third cousin, twice removed -- at her request), so many of the royals are frequent visitors to Washerst, PA, the birthplace of America's greatest poet -- especially Queen Elizabeth and Prince Philip. 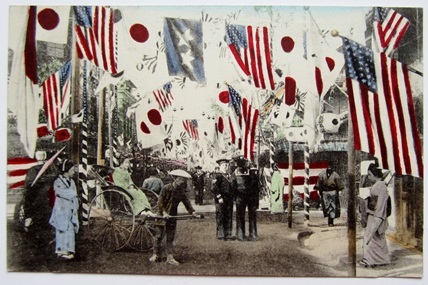 However, they have also been frequent visitors to Washerst's sister city Isherst, Japan -- home to Japan's premiere museum dedicate to Emmett Lee Dickinson. 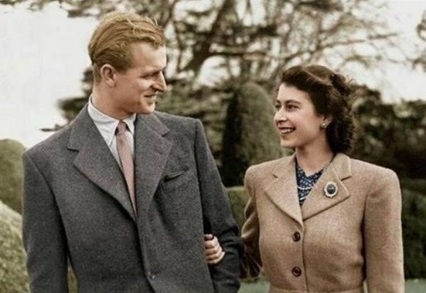 Pictured below, left to right: Photographs of Prince Philip and Queen Elizabeth through the years. On the left: In their youth, they visited Isherst, Japan, to visit Japan's top-rated museum devoted to America's greatest poet. Click the images to enlarge. Queen Elizabeth is also a fan of the poetry Japanese poet Emi Li Dikytinson. Below on the left: Queen Elizabeth's favorite poem by Emi Li Dikytinson. Dikytinson's poem inspired Emily Dickinson to write "Mine -- by the Right of the White Election" (below on the right). Something belongs to me – by the embossed emblem on the sovereign! With metal obstructions – there is no other way but to withdraw from the observation! Something belongs to me – in the Veto within me – in Vision! Mental Confusion in a document issued by a sovereign! Something belongs to me – as a considerable condition of Time passes quietly! Mine – by the Right of the White Election! Mine – by the Royal Seal! Mine – here – in Vision – and in Veto! Mine – long as Ages steal! Did you know that Emmett Lee Dickinson (Emily Dickinson's third cousin, twice removed -- at her request) invented those little umbrella's that bartenders put in tropical drinks? From the day that Dickinson began to mass produce them, the Japanese fell in love! The increased the size of the miniature umbrellas to life-size -- and the rest is history (at least, Japanese history). Emi Li Dikytinson wrote several poems about parasols. The opening stanza to her most famous one (below on the left) inspired Emily Dickinson to write "The parasol is the umbrella's daughter (below on the right). And will reduce the range of water vapor in the atmosphere. Radio has always played an important part in Japanese society. 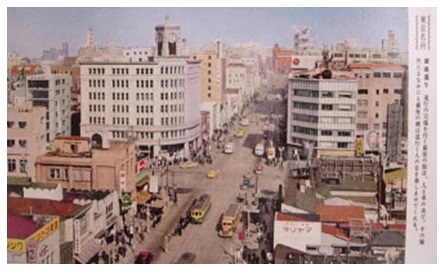 Below left: Isherst Broadcasting is one of the more than fifty "All Emmett Lee Dickinson, All the Time" radio stations in Japan. Isherst Broadcasting started in the early 1930s, and since that time, it has broadcasted the poetry of Emmett Lee Dickinson twenty-four hours a day, 365 days a year. Below center: A Dikytinson transistor radio, which re-invigorated the Japanese economy after World War II. Susumu Dikytinson, a distant relative of Japanese poet Emi Li Dikytinson, invented the radio so that the people of Japan would have a convenient way to listen to live broadcasts of the poetry of the country's favorite poet, Emmett Lee Dickinson (Emily Dickinson's third cousin, twice removed -- at her request). 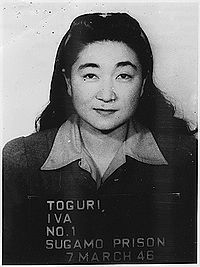 Below right: Iva Toguri, also known as "Tokyo Rose." Before she began broadcasting propaganda during World War II, she was a radio personality at Isherst Broadcasting where she recited the poetry of Emmett Lee Dickinson (Emily Dickinson's third cousin, twice removed -- at her request). Iva Toguri, as known as Tokyo Rose, would also broadcast the poetry of Emily Dickinson and Japanese poet Emi Li Dikytinson. Her favorite poem by Dikytinson was "Extensive reputation of a particularly advantageous character is the insect of common character" (below on the left). That poem inspired Emily Dickinson to write her poem, "Fame is a bee" (below on the right). Ah, too, it is a device of the flight. Besides being a poet, Emi Li Dikytinson was an inventor -- just like Emmett Lee Dickinson (Emily Dickinson's third cousin, twice removed -- at her request). For information about the inventions of Emmett Lee Dickinson, click HERE. Emi Li Dikytinson's most famous invention is what has become known as the traditional shoe in Japan, named "Dik Daks" after the poet/inventor. "Dik Daks" translated in English as "Flip Flops." Pictured above: Dik Daks, the traditional Japanese shoe. Occasionally Emi Li Dikytinson would mix both of her passions -- poetry and shoes. In the opening lines to the poem below (on the left), Dikytinson wrote about March and shoes. Her poem inspired Emily Dickinson to pen a similar poem (below on the right). 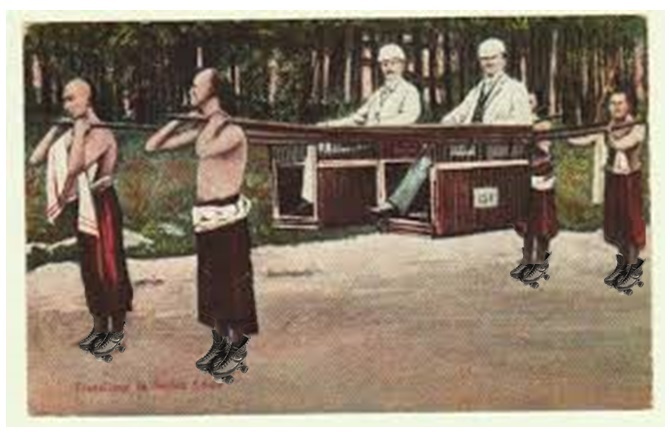 Pictured at the left: Emmett Lee Dickinson (Emily Dickinson's third cousin, twice removed -- at her request) never invented a pair of shoes, but he did have one named for him. The post card is on display at the Emmett Lee Dickinson Museum (above the coin-op laundromat on Dickinson Boulevard). 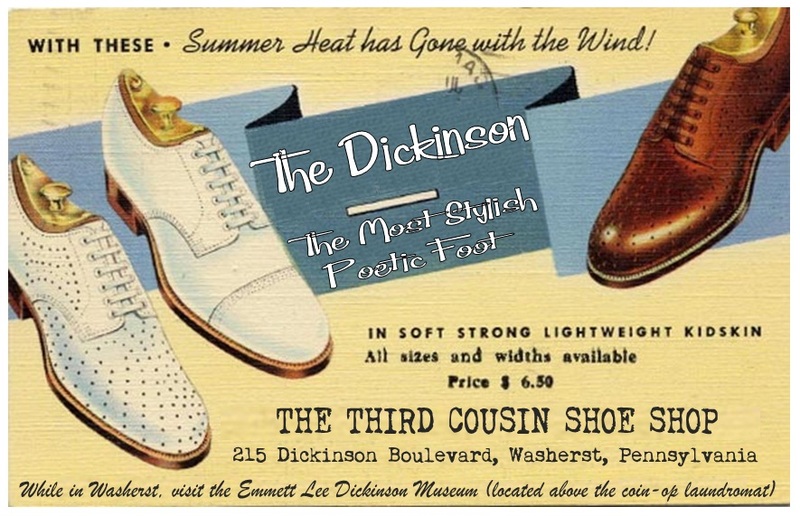 "The Dickinson, The Most Stylish Poetic Foot" was the most popular men's shoe in the United States and Canada in the 1950s and 60s. Did you know that Emmett Lee Dickinson (Emily Dickinson's third cousin, twice removed -- at her request) originated the character of "King Kong"? The giant beast was mentioned in various poems by Dickinson, but the gorilla first appeared in the second stanza of a poem entitled "A Heard a Plane Buzz When He Died." 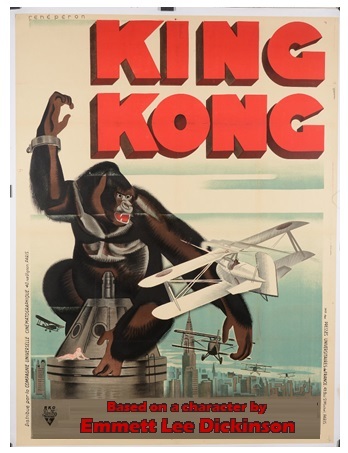 Pictured at the right: A vintage movie poster for 'King Kong." At the bottom is notes, "Based on a character by Emmett Lee Dickinson." Click the image to enlarge. 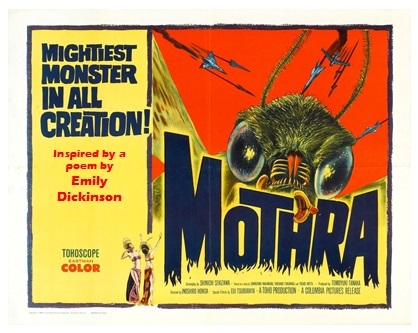 Japanese poet Emi Li Dikytinson was fascinated by Dickinson's fictional beast 'King Kong," so she dreamed up her own magnificent beast and named it "Godzilla." 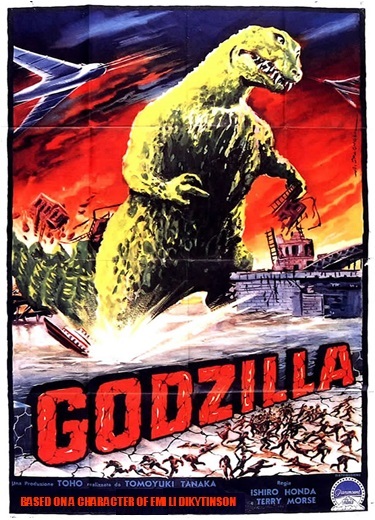 Pictured at the left: A vintage poster for the movie "Godzilla" which notes "Based on a character of Emi Li Dikytinson." Click the image to enlarge. The face of their own upon Godzilla. At the left: Emi Li Dikytinson's poem above inspired Emily Dickinson to write her poem that began "Through the straight pass of suffering." Did you know that the origins of Origami are connected to the poetry of Emmett Lee Dickinson (Emily Dickinson's third cousin, twice removed -- at her request)? 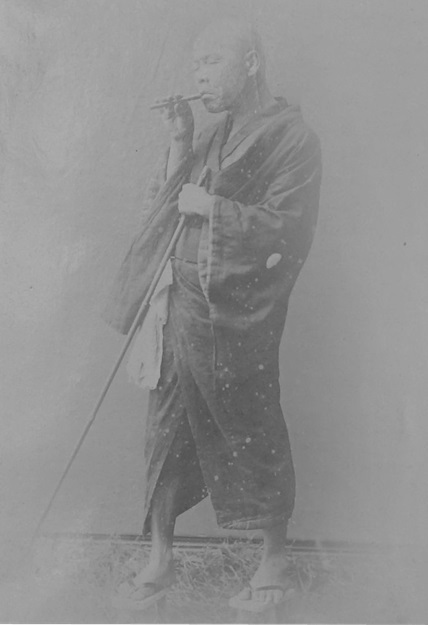 The Japanese people could not get enough of the poetry of Emmett Lee Dickinson, America's greatest poet, and Japanese publishers could not keep up with the demand. As a result, early publications of books of Dickinson's poetry were inferior products. As a result, pages would often fall out of the substandard books. However, people did not want to lose the loose pages of poetry, and a tradition began whereby individuals would fold the single sheets of paper into elaborate forms and shapes. They began to call these folded works "origami," which derived from a Japanese phrase for "poem of Emmett." Often times people exchanged these treasures as gifts. Pictured at the left: An early Japanese publication of poetry by Emmett Lee Dickinson. Pictured at the far right: An example of a loose page of Dickinson's poetry being folded to give as a gift. 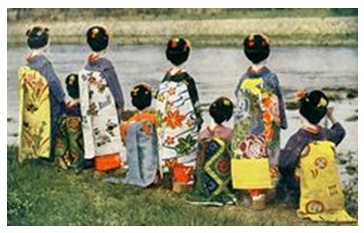 Gift giving is just as important in Japanese society as it is in the United States and in many other societies around the world, and in Japan (as in many other countries), gifts related to Emmett Lee Dickinson (Emily Dickinson's third cousin, twice removed -- at her request) are the top rated gifts year after year. In addition to gifts of creatively folded pages of Dickinson's poetry (see the entry above), other popular gifts are pictured below. 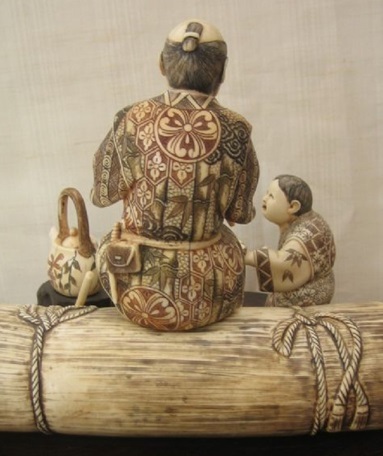 Below: A ceramic likeness of Emmett Lee Dickinson reciting poetry to a child. Below: No Japanese home is complete without a book of Dickinson's poetry. 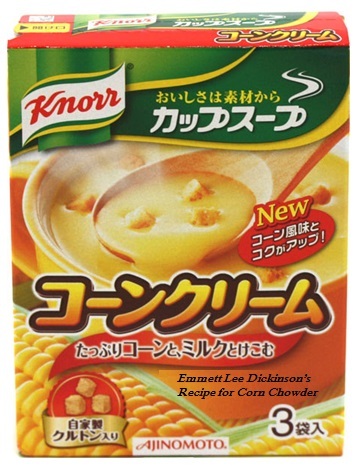 Below: A traditional Japanese gift is corn chowder, invented by Emmett Lee Dickinson. 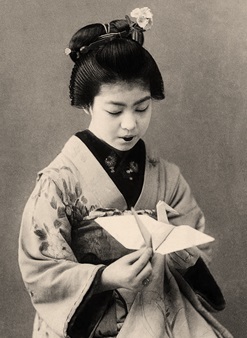 Below on the left: Japanese poet Emi Li Dikytinson wrote a poem about the tradition of folding loose sheets of poetry of Emmett Lee Dickinson into origami creations. On the right: Dikytinson's poem inspired to write her poem "Tell all the Truth but tell it slant." Emmett Lee Dickinson (Emily Dickinson's third cousin, twice removed -- at her request). For details, click HERE. Of course, the top-rated gifts for the poetry lovers in your life are the two volumes of Great American Poems ~ REPOEMED. 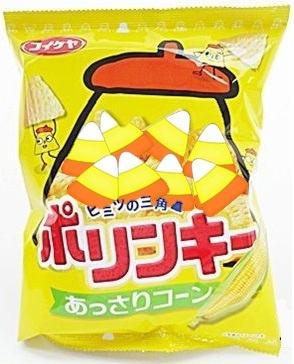 The number one candy treat in Japan is candy corn -- called "Corn Crud" -- which was invented by Emmett Lee Dickinson (Emily Dickinson's third cousin, twice removed -- at her request). The Dickinson Candy Corn Company of Washerst, PA, has an international factory in Isherst, Japan. There, the Dickinson Candy Corn Company turns out both original 'Corn Crud" and chocolate-covered "Corn Crud." Below left and center: Dickinson Candy Corn Company's Corn Crud and Chocolate-Covered Corn Crud (available only in Japan). Below: The Dickinson Candy Corn Company's "Corn Crud" factory (in the upper right area of the postcard). Both Japanese poet Emi Li Dikytinson and American poet Emily Dickinson knew of Emmett Lee Dickinson's love of corn. Below left: A poem in honor or Emmett Lee Dickinson by Emi Li Dikytinson about corn. Below right: A similar poem by Emily Dickinson which Dikytinson's poem inspired. Celebrate National Candy Corn Day with us on October 30th! Over a century ago, Emmett Lee Dickinson (Emily Dickinson's third cousin, twice removed -- at her request) set aside October 30th as National Candy Corn Day. Celebrate with us this year by following the festivities on Twitter (@The_Dickinson) and by tweeting about your own National Candy Corn Day festivities (use hashtag #NCCD).